The product named One 60 Series Heated Tube Humidifier is designed to provide air stream humidification. Its design prevents from water damage and reduces the rainout. The product functions in a way that it adjusts to the humidifier, and this adjustment increases the chances for successful therapy. The product has three levels of humidification: 70, 80 and 90 percent, while the heated tube has five temperature levels, from 4 – 16 above the temperature in the room. In order to provide optimum level at the mask, these two characteristics need to be combined in proper way. Around the world, a lot of people are satisfied by this product. But there are negative critiques as well. Positive comments range starting from the way in which the product was ordered, the time need for delivery and the shipping. A lot of positive comments in terms of the comfort that this product offers. According to the satisfied users, the product provides better humidity than any other. However there are also negative comments. The negative comments refer to the design of the product. There are also critiques on the volume of water which is too small, and dries out for one night. Important note: this product can be only used with PR System One REMStar 60 Series machines. 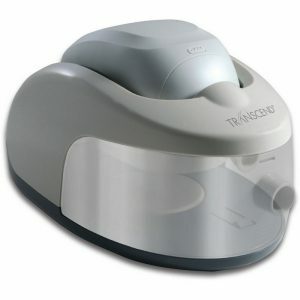 The Transcend Heated Humidifier is compatible with all the machines from the Transcend line. Its unique design provides comfortable, warm and wet air to the air stream therapy. The level of humidification can be easily set, by using the dial on the humidifier body. There are 6 levels of humidification on this product. The maximum level that can be reached is 80%. The highest level of humidification is when the dial is set to 5. For cooling effects, the humidifier needs to be set to 0 (zero). The maximum heating temperature of the product is 131°F (55°C), while the optimal operating temperature is 41-95°F (5-35°C). Regarding its power option, it is important to mention that The Transcend Heated Humidifier has its own power cord which must be plugged into a wall outlet for operation. When traveling outside United States, there are separate cords available. The product is wide consumed, and there are a lot of positive critiques by its users, but many of the comments are about the size of the product that makes it difficult to transfer. 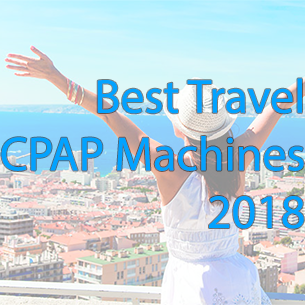 This product does not fit in a standard travel bag which is provided with these machines. The company that produces the machines offers a travel bag which is designed to fit all the elements of the product. 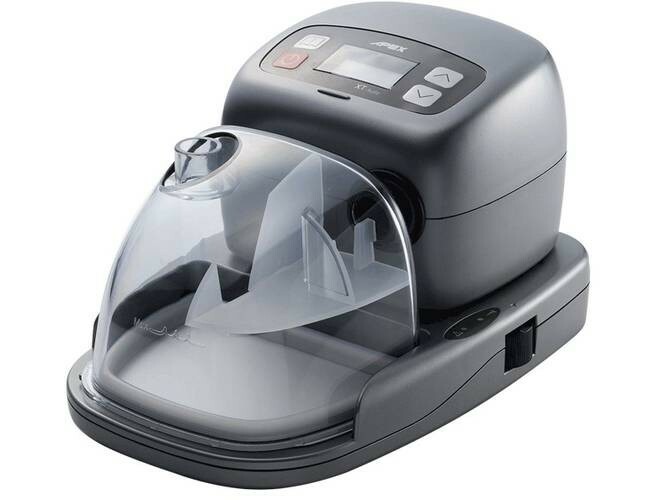 The dream station Heated Humidifier is produced by Philips Respironics and it presents integrated humidifier that provides optimal comfort when connected to the Dream Station Series Machines. The product is designed in a way that provides a standard heating mode as well as an adaptive mode, which enables automatically adjustments of the heat and moisture levels. 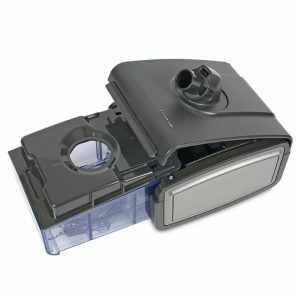 If the consumer wants to increase the warmth, the optional heated tube for Dream Station CPAP Machines needs to be added additionally. Adaptive Humidification Option – which allows the device to measure the level of humidity and ambient temperature in order to adapt the heating on an optimal level. This option provides optimum moisture to therapy while, decreasing the chances for condensation. User-Friendly Chamber Design – this option provides a water chamber that is easily accessible. It is located in the centre of the device. When filled with water, it is important to be cautious, when removing the chamber in order to protect the product from possible water damage. In order to protect the product, it is important not to fill it with water above the maximum line. Dry Box Technology option functions when the optional humidifier is used with the dream Station machine. It helps to reduce the chances of water damage when connected to the optional humidifier. This option provides to trap the water within the walls of the section in order to avoid the water to move through the machine. Optional Heated tube – this option decreases the chances for rainout while the warmth of the therapy air is guaranteed. It releases the heated air as a result of the movement of the warm air from the humidifier to the machine, while heating the tube. 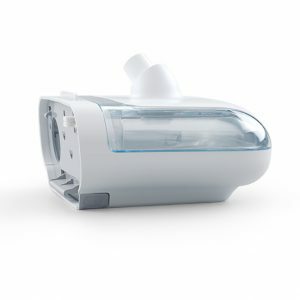 The product is only compatible with machines from Philips Respironics DreamStation. The XT Heated Humidifier is manufactured by Apex Medical and it is used with the APEX XT line of travel sized machines. The product is designed in a way that on the bedside table has a space for a foot print. The main principle of function of the humidifier is that is designed to adjust the temperature in order to reduce condensation into the tube, thus providing a stable level of humidification trough the night. For maximum humidification, the knob needs to be set to 6, which is the highest level and 1 for a minimum humidification. The product works optimally on 41° F – 95° F Temperature, 15% – 95% Relative Humidity and 609-768mmHg atmospheric pressure. The best characteristic of this product is that it can be used everywhere, as it supports universal power. 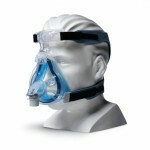 It is compatible with other XT machines, like XT Auto CPAP Machine and XT Fit CPAP Machine. The comments from the users generally are positive especially, when it comes to the quality of the product. According to some of them, the product really functions in terms of providing solution for people that have problem with sinus issues. 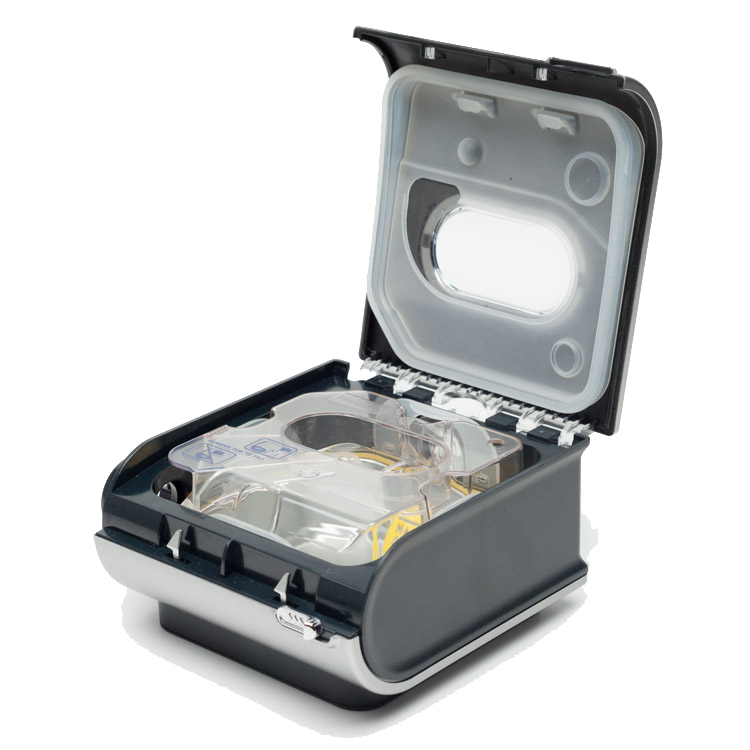 This product is manufactured by the RESMed and is designed in a way that provides advanced humidification. The product includes, H5i Heated Humidifier with Climate Control and a Standard Water Chamber. The maximum Heater Plate Temperature is 149 deg F (65 deg C) while the Maximum Gas Temperature: =< 105 deg F ( =< 41 deg C). In order to achieve a new level of comfort, it is important to set the level of humidity and to attach the optional ClimateLine tubing. Another important feature of this product is that it has H5i humidifier. This product has an intelligent humidity controlling technology with a part for a climate control. By setting the desired temperature on a simple Dial control, the ClimateLine tubing provides new level of control.